AMD seems to be bringing their 7nm Vega GPUs to more markets than just the server and HPC sectors. The latest leak in AOTS benchmark reveals that AMD has been quietly working on a full Radeon Pro variant based on 7nm Vega GPUs in addition to the Radeon Instinct part. 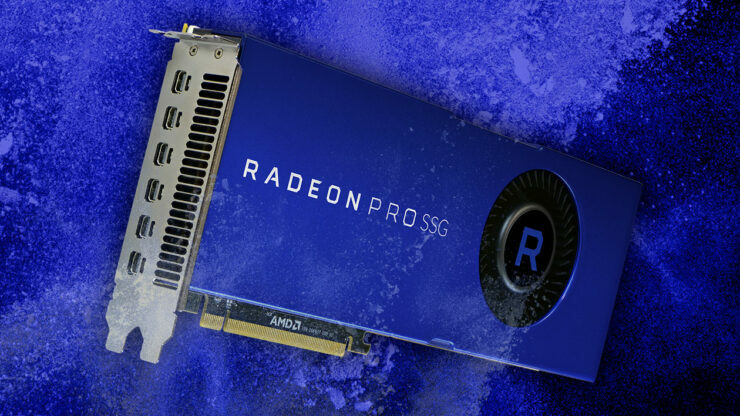 A few days ago, we got our first look at the Radeon Pro V430 graphics card that was aimed at the virtualization market. Many speculated that this Radeon Pro graphics card was based on the 7nm process node, but in fact used two 14nm Radeon Vega 10 GPUs. 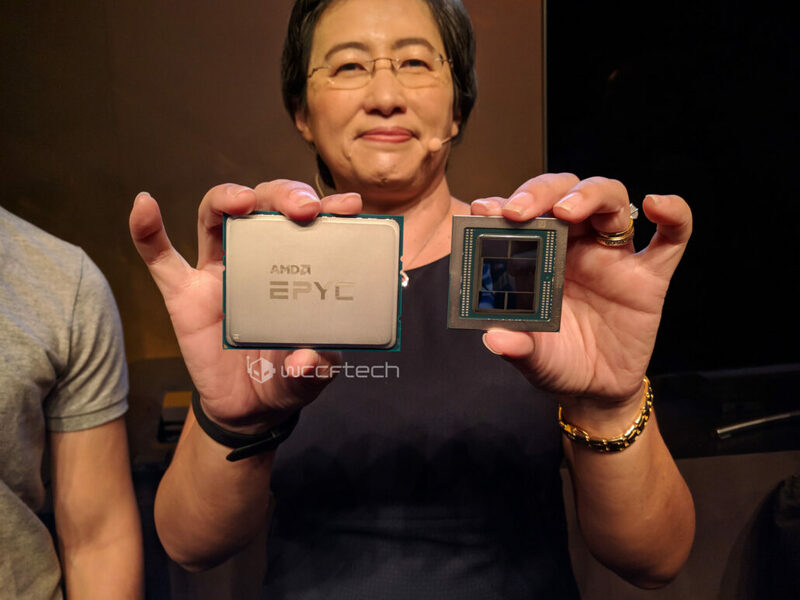 However, the good news is that AMD is indeed bringing 7nm GPUs to more markets than initially expected. The AMD Vega 20 GPUs is already confirmed to be arriving in the server market with a keen focus on AI and DNN workloads. The new GPU will feature twice the density, twice the power efficiency, and 35% better performance compared to the 14nm FinFET based Vega 10 GPU. Yesterday, we got to see a Vega 20 GPU inside the AOTS benchmark and today, we are looking at another variant that is headed for launch soon. The Vega 20 GPU we got to see yesterday had the 66A0:00 device id. The new variant which we are looking at today has the 66A7:00 device id. The device id shows up as the AMD Radeon Pro Vega 20 graphics card in the AOTS benchmark and we also get to see some performance metrics at 4K with DX12 enabled. Do note that these are very early performance results and drivers aren’t really optimized very much for this card yet. 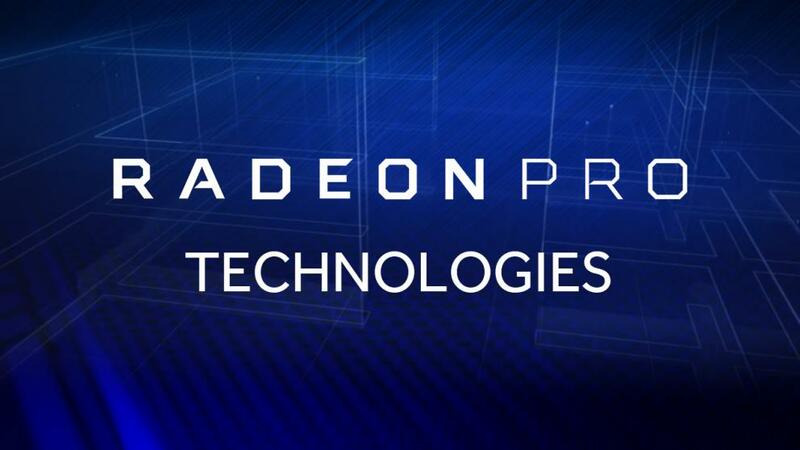 Based on the specifications we know for the Vega 20 GPU, the Radeon Pro Vega 20 graphics card is expected to feature up to 4096 stream processors and 32 GB of HBM2 VRAM. The clock speeds will be faster than Vega 10 while we can expect better efficiency compared to current Vega 10 based Pro cards such as the Radeon Pro WX 9100, Radeon Pro SSD and the Radeon Vega Frontier Edition. Bringing Vega 20 to the Pro market opens the way for the GPU to enter the general consumer market too. It will be interesting to see if AMD plans on launching the Vega 20 GPU for the gaming market but would a fully HPC centric GPU make sense for the gaming market based on its price? AMD is definitely bringing 7nm GPUs to gamers but it isn’t known whether they will be based on the Vega 20 GPU architecture or the next-generation Navi GPU architecture. We will keep you all posted with more details. Do you expect the 7nm Vega 20 GPU to arrive in gaming market?